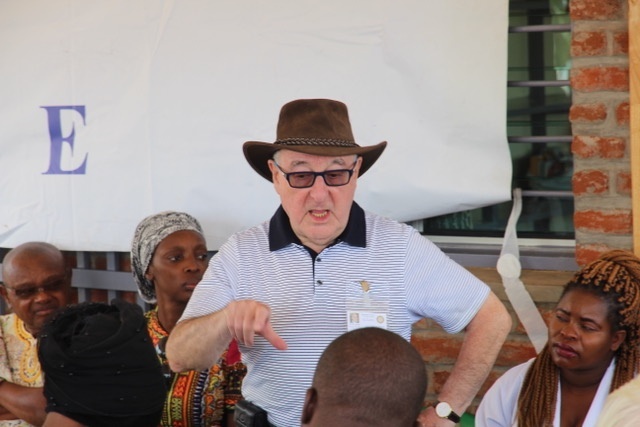 Clive and Anne Richardson, Keith Mann and Veronica (Ronnie) Smith travelled (at their own expense) to Malawi to take part in the formal handover of the bicycle ambulances. 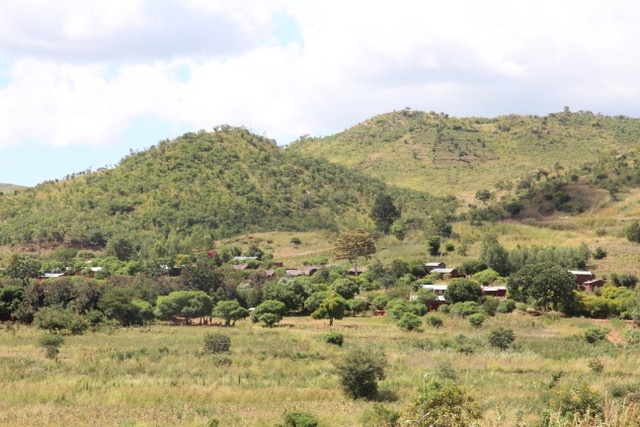 The AMECA clinic's catchment population has grown to more than 38,000 people in 23 villages. The hilly and rocky terrain is, for the most part, impassable to vehicles. Many of these villages are located several kilometers away. Women in labour, the infirm and the elderly are unable to walk these distances to reach help. It is even worse during the night. It is not uncommon for women to give birth on the side of the dirt roads, sadly resulting in deaths of both mother and child. The use of bicycle ambulances offers an affordable and practical solution, so earlier this year, Epsom Rotary purchased three bicycle ambulances. 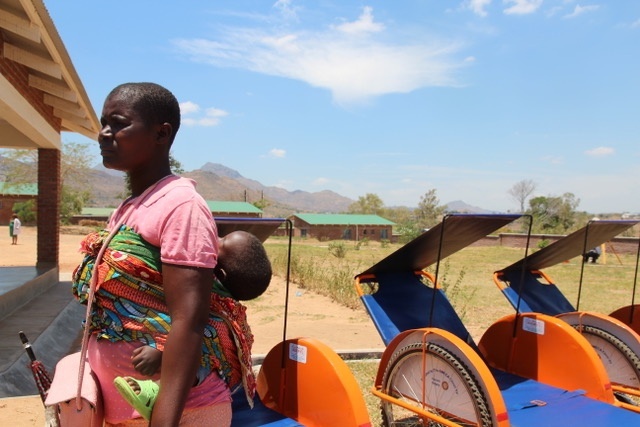 In April 2018, an initial three bicycle ambulances were donated to the most distant villages in a ceremony at Chilaweni, attended by the Chiefs, community members and hospital staff. 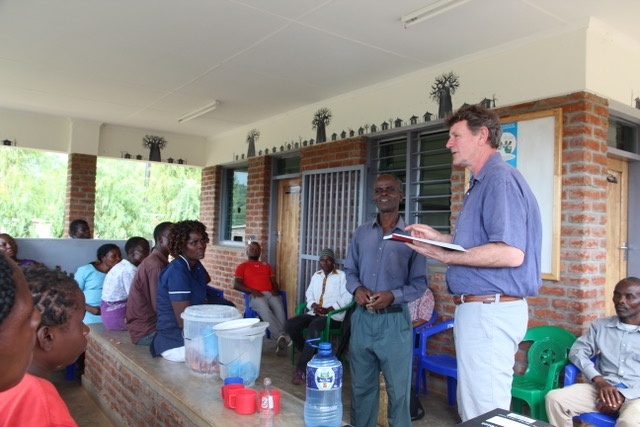 Clinical Director Paul Thomas addressed the community on the importance of good governance, record keeping and on the security of the bicycle ambulances. 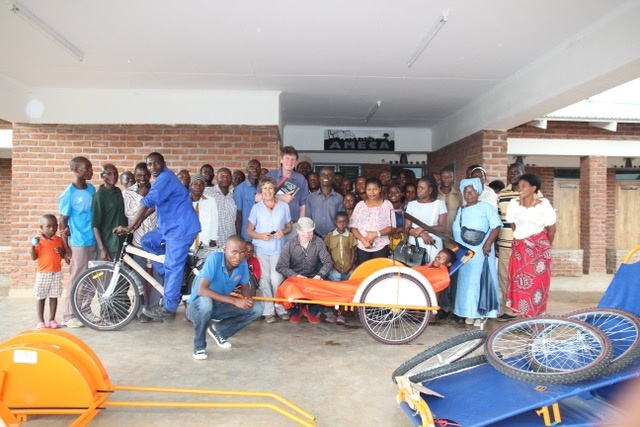 The obviously delighted community members, village chiefs and bicycle drivers were given thorough training on handling and maintenance from Sakaramenta, the company who supplied the bicycle ambulances. Visiting the villages of Ching'ombe, Solobala and Masajiri, we were delighted to find that the chiefs were keeping excellent records of all journeys. Furthermore, the ambulances were well utilised and well maintained. 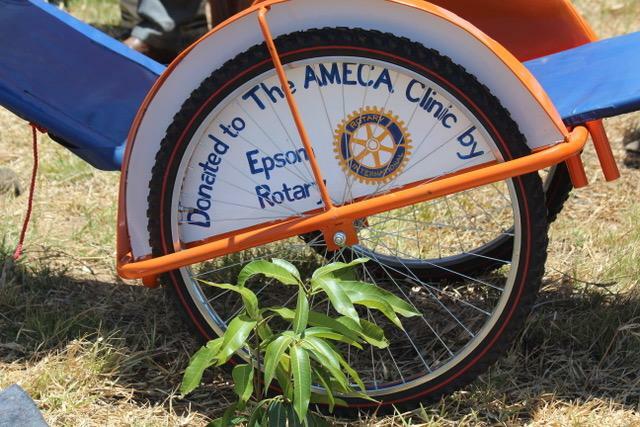 Following the success of the project, Epsom Rotary provided purchased an additional 6 bicycle ambulances. October saw the delivery of these ambulances for the villages of Kaliati, Mwazangla, Makwelani, Malunga, Daniel and Gwaladi. The delighted village chiefs with their new ambulances. Four members of Epsom Rotary Club in the UK, went all the way out to Malawi for the occasion and to see the ambulances for themselves. Thank you also to Rotary Club Limbe, to the young Rotaract Limbe, The Blantyre District Health Office, community elders and our friends for so kindly supporting this event. Limbe Rotary Chairman Eric with Limbe Rotary and Rotaract members. Ruthie Markus (Head of AMECA) together with Dennis Thumba, Headmaster of Chilaweni Primary School who was indispensable for advice, great organisation, community liaison and translation. 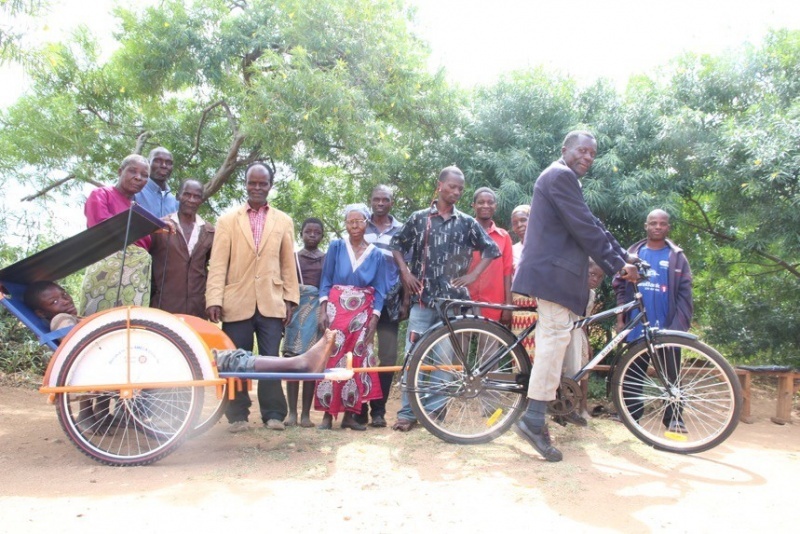 Peter Meijer, a Dutchman, was inspired by the idea of making bicycle carts while traveling through Malawi in 2007. 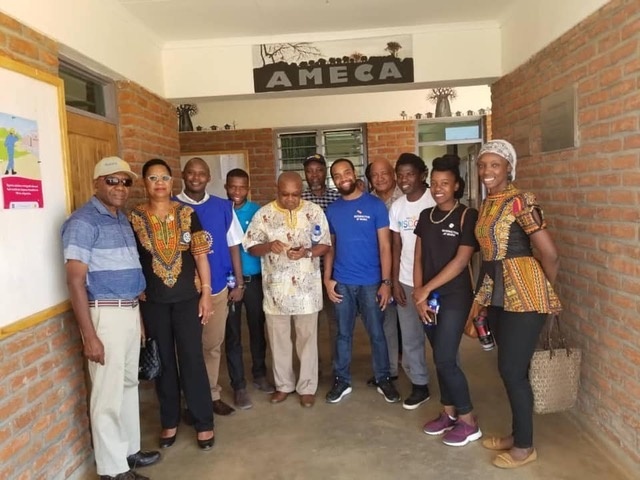 Observing many overloaded bicycles, packed with bananas, goats, maize bags or tons of charcoal, he decided to explore the possibility of starting up a social enterprise. 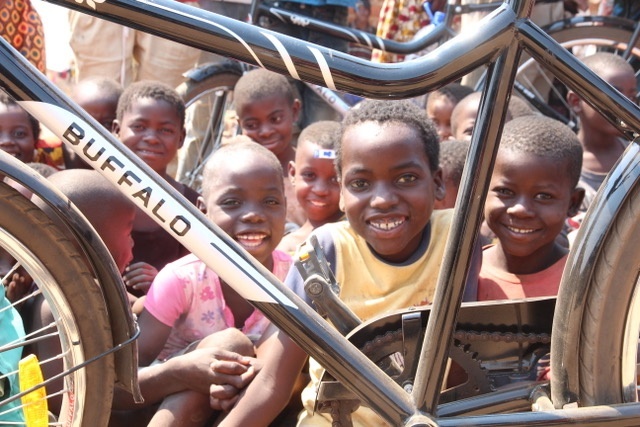 Establishing Sakaramenta in Blantyre in 2009, today there are over 1000 of their bicycle ambulances serving villages the length and breadth of Malawi. Sakaramenta commented "Our dream is to provide Malawi with a small but viable industry which the country needs so badly. We badly need your support to achieve that."